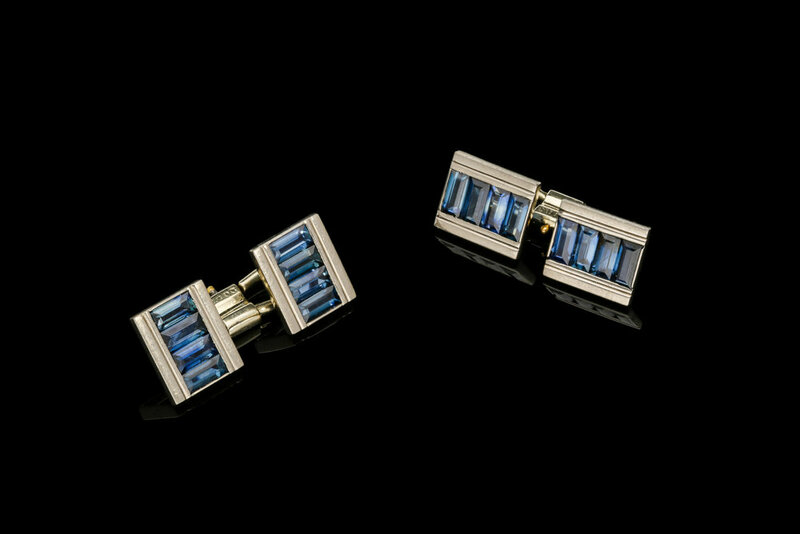 A sophisticated pair of sapphire and 18ct white gold cufflinks. 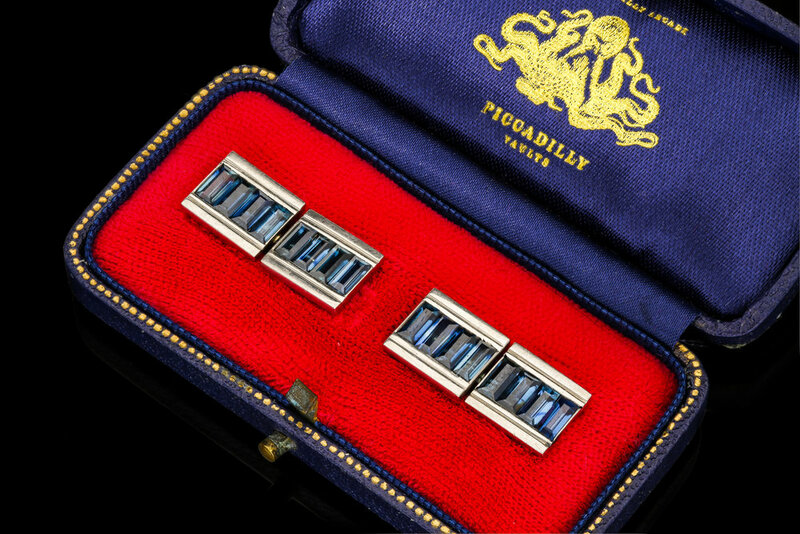 Four rectangular plaques each set with baguette cut sapphires in open back channel settings, framed to top and bottom with linear borders and fitted with removable bevette links. Estimated total sapphire weight: 2.40cts.